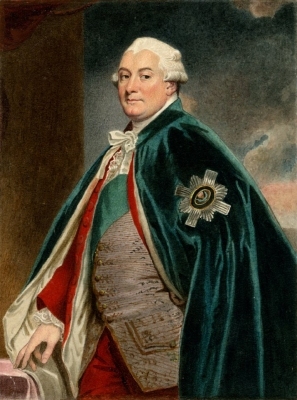 He gained the title of 1st Baronet Steuart, of Allanbank. Child of Sir Robert Steuart of Allanbank, 1st Bt. [S6] G.E. Cokayne; with Vicary Gibbs, H.A. Doubleday, Geoffrey H. White, Duncan Warrand and Lord Howard de Walden, editors, The Complete Peerage of England, Scotland, Ireland, Great Britain and the United Kingdom, Extant, Extinct or Dormant, new ed., 13 volumes in 14 (1910-1959; reprint in 6 volumes, Gloucester, U.K.: Alan Sutton Publishing, 2000), volume I, page 334. Hereinafter cited as The Complete Peerage. From 14 December 1746, her married name became Elliot. Children of Agnes Dalrymple-Murray-Kynynmound and Rt. Hon. 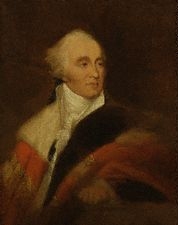 Sir Gilbert Elliot of Minto, 3rd Bt. 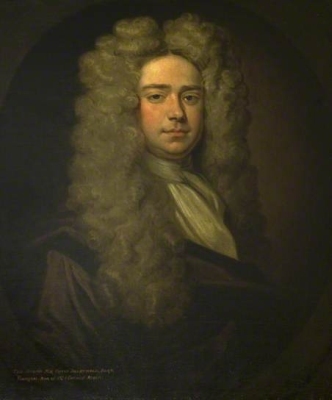 Sir David Dalrymple, 1st Bt. [S15] George Edward Cokayne, editor, The Complete Baronetage, 5 volumes (no date (c. 1900); reprint, Gloucester, U.K.: Alan Sutton Publishing, 1983), volume III, page 331. Hereinafter cited as The Complete Baronetage. Her married name became Elliot. After her marriage, Anna Maria Amyand was styled as Baroness Minto of Minto on 20 October 1797. After her marriage, Anna Maria Amyand was styled as Countess of Minto on 24 February 1813. [S15] George Edward Cokayne, editor, The Complete Baronetage, 5 volumes (no date (c. 1900); reprint, Gloucester, U.K.: Alan Sutton Publishing, 1983), volume V, page 130. Hereinafter cited as The Complete Baronetage. [S323] Sir James Balfour Paul, The Scots Peerage: founded on Wood's edition of Sir Robert Douglas's The Peerage of Scotland (Edinburgh, Scotland: David Douglas, 1904), volume VIII, page 209. Hereinafter cited as The Scots Peerage. After her marriage, Louisa Cathcart, Countess of Mansfield was styled as Viscountess of Stormont on 5 May 1776. From 5 May 1776, her married name became Murray. She succeeded as the 2nd Countess of Mansfield, co. Nottingham [G.B., 1776] on 20 March 1793, suo jure.1 From 19 October 1797, her married name became Greville.